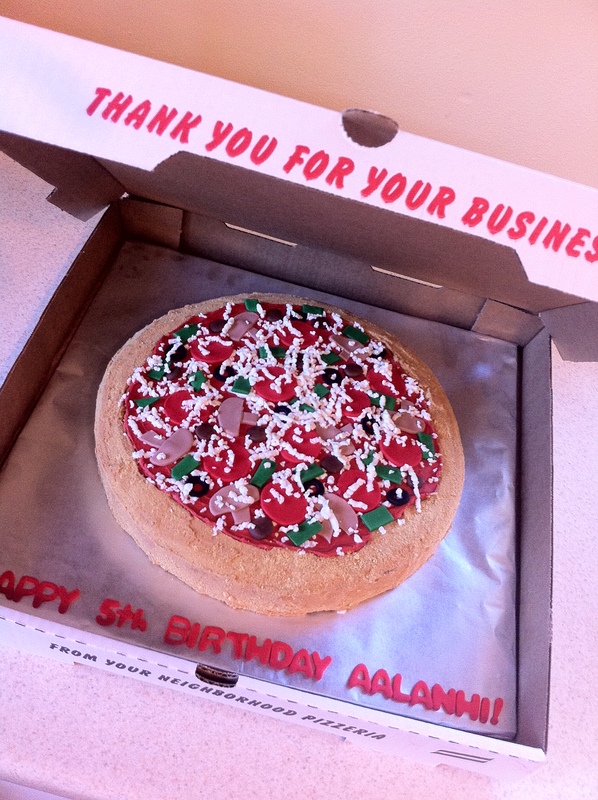 Supreme Pizza birthday cake with all the toppings!! I was excited a few weeks ago to get a call from a mom wanting a custom cake for her daughter’s 5th birthday. Her girl’s favorite thing was pizza so she wanted a cake that looked like pizza. Once again, I had never made a cake like this but was confident this supreme pizza birthday cake would turn out perfect! How do you think it turned out? I took the time to actually shred the white fondant into a cheese grater to give the pizza that realistic look. The mushrooms, pepperoni, sausage, green peppers, black olives, and meatballs were carefully crafted to match the appearance of their real life counterpart. Thanks to Mia’s Italian Restaurant here locally I was able to get a pizza box that was generic and just said “From your Neighborhood Pizzeria”. (By the way, this Italian restaurant has amazing cheese sticks). To achieve the desired appearance of a deep dish pizza crust, I added a light layer of graham cracker crumbs to the frosting around the edge to give the look of a garlic pizza crust. I wonder if the little girl was surprised when she took the first bite and realized it was a delicious tasting butter cake with vanilla buttercream frosting? 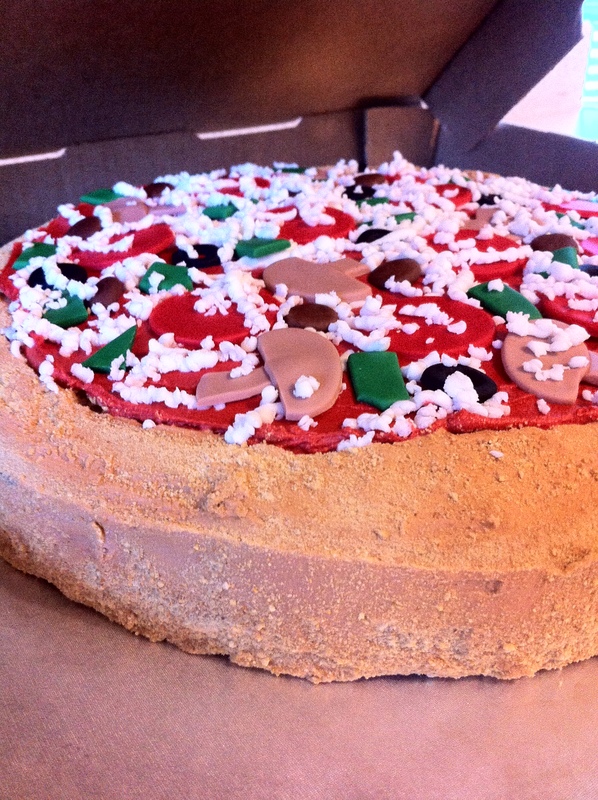 Here is a close-up of the pizza cake below. It was a fun cake, and a “pizza cake” to make 🙂 Looking for other birthday cake ideas, check out my gallery!